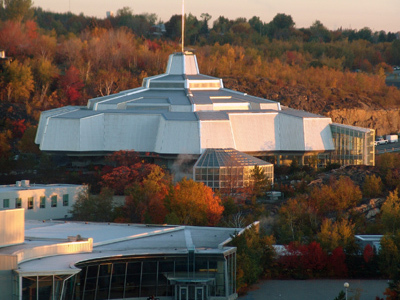 Part of my recent Science North trip included seeing the Body Worlds Vital exhibit. 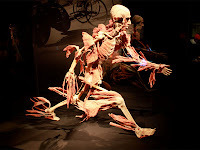 This exhibit is part of a series of Body Worlds exhibits featuring real human bodies that have been preserved using a processed called plastination. Plastination was created by Dr. Gunther von Hagnes, and the resulting figures created through the process have been termed plastinates. These plastinate bodies allow visitors to see the inner workings of real human bodies in a way that wasn’t previously possible. 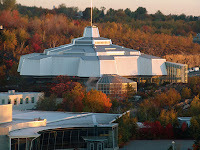 The primary gold of all the Body Worlds exhibits is to increase awareness about the human body and to provide opportunities for health and physical education. 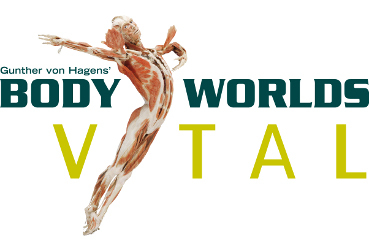 Body Worlds Vital places emphasis on the potential of the human body and the body in motion. In this exhibit a number of the plastinates are staged in athletic activities such as running, fencing, and dancing to highlight the development of muscle structures, the potential of a healthy body, and the general inter-workings of the vital system. Simply put, the exhibit far exceeded my exceptions. The plastinates themselves are a remarkable mixture of art and science. The staging of the plastinates in forms which highlight a variety of human activities and body functions allows for a range of educational opportunities. The range of motion seen in the plastinates allowed for a variety of anatomical features to be highlighted, many of which I had little knowledge about before. Similarly the placement of the plastinates allowed visitors to walk 360 degrees around them, allowing for all aspects of the human body to be seen. Additionally, the signage throughout the exhibit was really well done. Each plastinate was accompanied by a textual explanation of what technique was used to render the plastinate and what parts of the body are being highlighted by the plastinate. These textual explanations were accompanied by diagrams labeling muscles, bone structures, and major arteries. The diagrams helped explain the plastinates and added to the educational component of the exhibit. There was also oversize text and graphic panels with inspirational quotes relating to the human form throughout the exhibit. These panels added to the reflective and respectful feel of the entire exhibit. The exhibit wasn’t overly busy when I was there. This allowed for a nice leisurely pace and for me to read all the text and spend ample time looking at each plastinate. In contrast to the rest of the Science Centre where loud talking and running around are the norm, the majority of visitors looking at this exhibit moved at a leisurely pace and were speaking in hushed tones. This was most likely due to the subject matter combined with the mood lighting and slow paced background music. 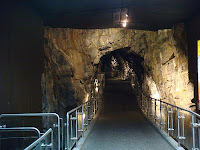 The whole atmosphere of the exhibit helped contribute to the educational atmosphere. Have you been to a Body Worlds exhibit? Did you enjoy it? I was recently sucked into some guilty pleasure TV. Yes, I will admit to watching the History Television Pawn Stars. Despite the lack of real historical content the program did contain mention of the educational currency series which existed in the United States in the 890s. Being the history lover that I am, I wrote myself a sticky note to research this interesting bit of history. The educational series was a set of silver certificates created in 1878. The bills in the series depicted various scenes which are atypical to currency. The images on the currency highlighted artwork, historical figures, and scientific innovation. These notes were back the government’s stockpile of silver, and could be redeemed for silver at the Treasury. This series went out of circulation when the silver redemption program was stopped in 1968. A one dollar bill entitled “History Instructing Youth”. This bill showed the ‘goddess of history’ instructing a young person in the history of the United States. The bill also includes the constitution and names of famous Americans. A two dollar bill titled “Science presenting steam and electricity to Commerce and Manufacture”. This note uses art to highlight the impact of steam and electricity on the American economy and development. A five dollar bill entitled “Electricity as the Dominant Force in the World”. Similar to the two dollar note, this bill uses women to depict electricity. Some controversy was raised of the artistic merits of this bill, as it featured to women with bare breasts. This series is by far the most interesting type of currency I have ever seen. It is reminiscent of classical artwork and touches on themes far outside the range of normal currency.